Cloverbook has everything you need to succeed — from a full CRM to invoicing, contracts, payments, and planning tools. Sign up today. Cancel anytime. 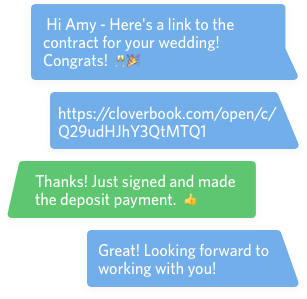 Cloverbook works seamlessly across platforms, so your clients can sign contracts and make payments from anywhere. Try Cloverbook for free for 14 days. 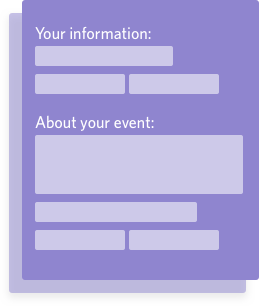 Cloverbook lets you stand out as a modern, tech-forward event vendor. It's everything you need to stay on top of your business. Your clients have enough to deal with. Make working with you so easy that they fall in love. Instill confidence in your clients by sending them beautiful, branded documents accessible from anywhere. Millennials expect you to communicate in their preferred medium. Email, SMS, Facebook Messenger, iMessage, WhatsApp? Not a problem. Send any document any way using our easy link-sharing system. Forms your clients will actually fill out, on time. Provide a second-to-none experience for your clients so they can plan their event from anywhere. 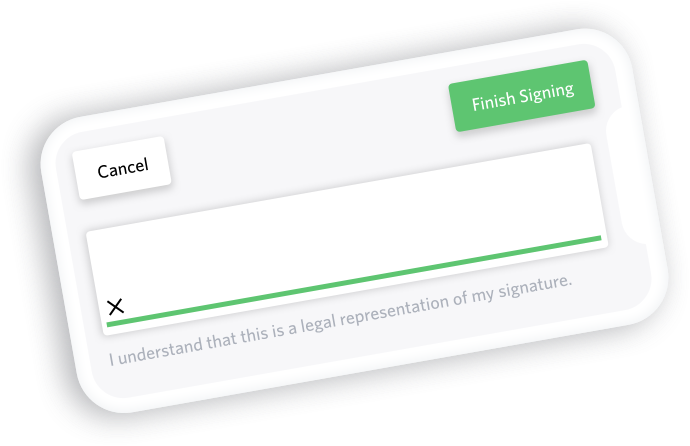 Forms seamlessly auto-save so your clients never lose their work. 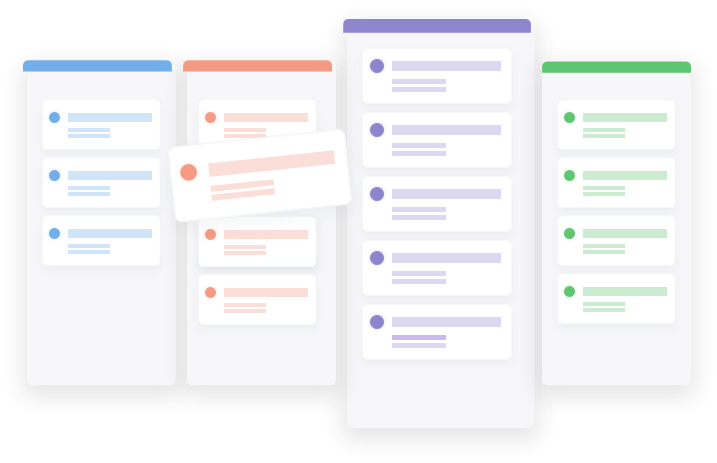 See the big picture — With a beautiful CRM pipeline, you'll know exactly what’s happening with every event. CRM, contracts, payments, planning tools, and more. Everything you need to stay organized. 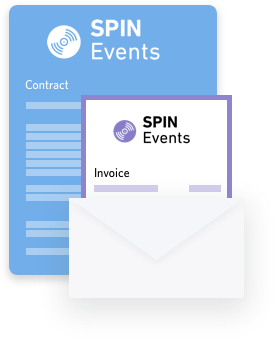 Cloverbook helps streamline your client's experience from initial contact to final invoice. 14-day free trial. Cancel anytime. Whether you’re at home, the office, or your child’s baseball game, no other app gives you the freedom to run your entire business from anywhere. Easy setup, with support every step of the way. Start using Cloverbook in just minutes. 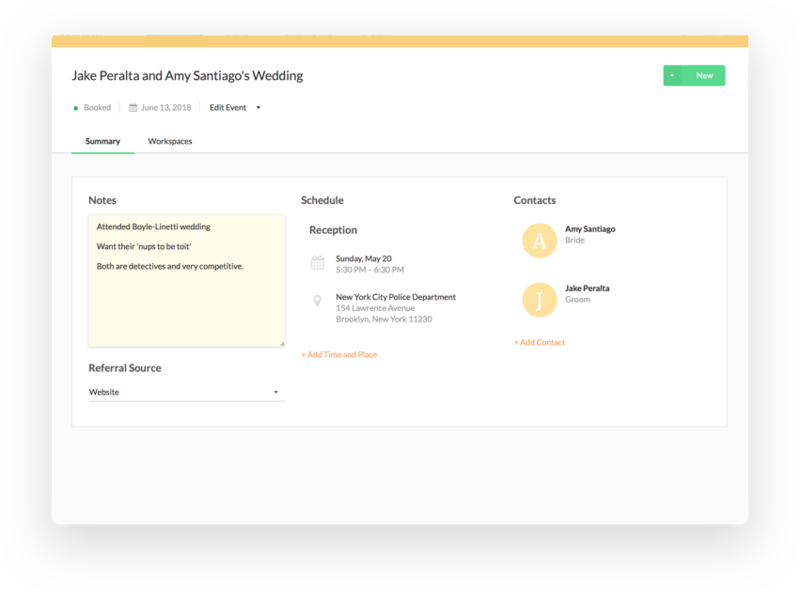 Unlike other booking software, there's no complicated set up. Help is always a click away with our in-app support chat.